Browse fresh-cuttlefish suppliers by country and region. 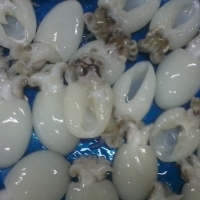 We are manufacture of cuttlefish bone product in Vietnam. Our product have high quality with competitive price. We have all size from 4", 5", 6", 7", 8" and 8 to up inch. Trimmed and untrimmed cuttlefish bone. 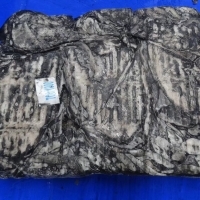 Specification of product: white, dried and clean. We can pack blister or bulk into carton box. Short on time? Let fresh-cuttlefish sellers contact you. Giant squid, flying fish roe ( tobiko), anchovy, scallops,ribbonfish. Ribbon fish , horse mackerel , sole fish, queen fish, leather jacket, barracuda, yellow fin tuna, skipjack tuna, croaker, cuttlefish, squids, whole round frozen Japanese threadfin bream. Seafood ribbon fish, reefcod, mahi mahi, emperor fish, cuttlefish, thread beam, catfish, yellow crocker, silver crocker, stingray fish, scampi, grouper, squid, octopus, tuna, lizard fish, monk fish, prawn and agricultural product like peanuts, sesame seed, sesame oil, lentils, grams. Seafood like frozen mackerel, sole, ribbon fish, TT croaker, yellow croaker, silver croaker, eel fish, sting-ray, lady fish, top shell, white pamphlet, black pomfret, sardine fish, razor clam, three spotted crab, blue swimming crab, round sole, cuttlefish, squid. 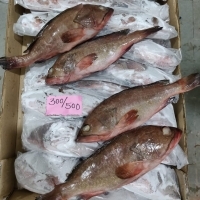 Frozen seafood, dried seafood, fresh seafood, fresh fish like sliver pomfret, black pomfret, chinese pomfret, king fish, yellow tuna, indian mackrel, red snapper, reef cod, silver croaker, yellow croaker, ribbon fishm mahi mahi fish, bombay duck fish, indian salmon, eel fish, shrimps like pink shrimps, brown shrimps, scampi, white shrimps, pink shrimps, tiger prawn, flower prawn, king prawn, crabs like blue crab, mud crabs, sea crabs, lobster like rock lobster, sand lobster,, molluscs like cuttlefish, squid, octopus. Seafood like tuna, spanish mackerel(tenggiri), red snapper(kakup merah), coral trout(grouper) milkfish, black pomfret, sardines, octopus, squid, cuttlefish, lobsters, shrimps(vannamei, white, tiger) , fresh and frozen. Seafood products, surimi products, shrimps, vannamei, squid, cuttlefish, octopus, Indian mackerel, pomfret, crocker, leather jacket, barracuda, ribbon fish, reef cod, bombay duck. Frozen seafood, frozen cuttlefish, squid, big reef squid, hlso vannamei, reefcod, snapper, octopus, breaded shrimps, shrimp burgers, breaded squid rings, raw squid rings, popcorn shrimps, breaded tiger prawns.